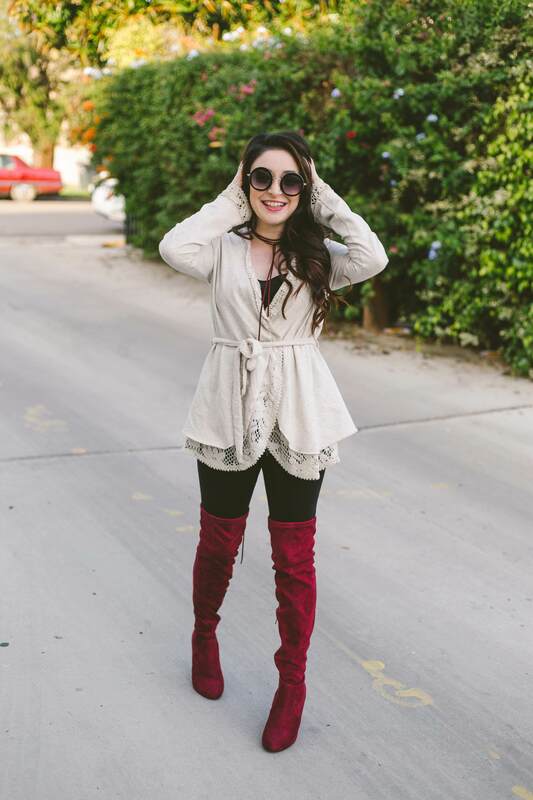 How was everyone’s Thanksgiving weekend? J and I had a great time in Maryland celebrating with his family. In his family they have a tradition of dressing up like different people from the day – pilgrims, Indians, even then turkey! They even hand out a golden turkey! Luckily, I was the recipient of the Golden Turkey this year. I also got the role as the male pilgrim which was fun too! I pull off men’s so well. HA! A few weeks on Instagram I took you all to a blogger brunch that I did in conjunction with several other local Boston bloggers and Autumn Glory Apple. Each of us prepared a holiday themed apple dish, and, as promised, here is my recipe! I wanted to do something a little outside the box and prepared a savory apple. This dish is the perfect holiday appetizer and gives you all the feels of the fall and winter. With the prep done in less than 20 minutes + a 40-minute cook time, you can make a gourmet style starter in no time. Take some apples of your choice (I like the caramelly – cinnamon spiced apples of Autumn Glory), simply core and scoop out the insides and replace with the toppings of your choice. I cooked down some Italian sausage with leftover pieces from the apples, fresh herbs, cranberry and pecans. You could make it sweet by stuffing with brown sugar and crumb mixture or continue down the savory route, but perhaps with ham or turkey? 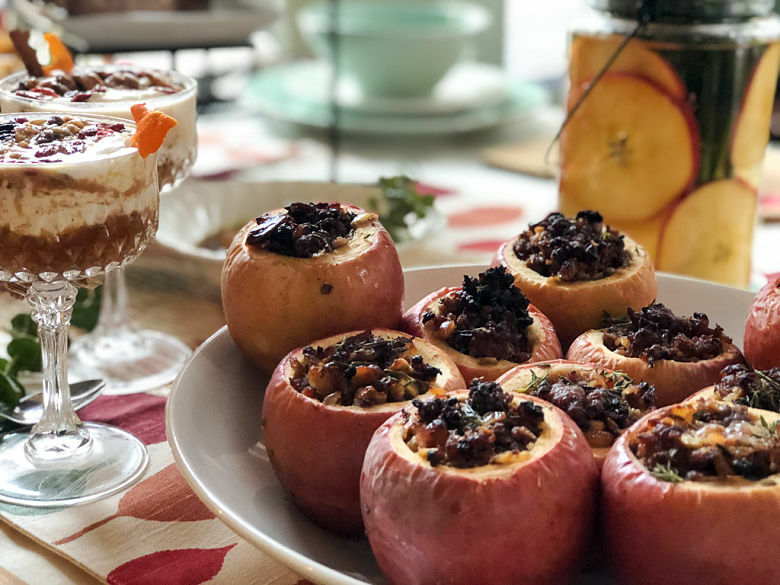 This dish has a super WOW factor when you see them – the apples look cute all stuffed up and your guests will DEF come back for seconds. Get ready to continue to the holiday season! Sweet apples stuffed with a delicious savory filling, baked and then enjoyed! Preheat oven to 350. In a pan, on low, melt butter and sauté onions until softened, 3-5 minutes. Add garlic and continue to cook for 1 minute longer until fragrant. Add pork, spices and salt. Cook for 10 minutes. Add apples, cranberry, pecans and fresh herbs. Continue to cook for 5 minutes. Stuff apples with pork mixture and place in a shallow dish. Pour cider or juice around the apples and bake for 40 minutes. Once done, top with remaining fresh herbs and serve. Omg, this looks so delicious!! I need to try some. I absolutely love this recipe! My children love baked apples and this recipe is so easy and quick I can make them for dinner tonight! Perfect for a busy mom like yourself! I just added this recipe to my holiday menu. They look just perfect. And nothing short of beautiful. Please take pics! I would love to see! OMG these look delicious I have to try it! This is a perfect treat for the late autumn, beginning of winter. The spices go so well with a baked apple. Baked apples! Such a mouth watering treat. Getting tempted to savor one right now. These looks absolutely DELICIOUS!!!!!!!!!!!! Might just have to put everything else on hold, grab some ingredients from the shop and start cooking!!! Love this- cannot wait to try! Get it girl! You can feel guilt free with this recipe. This sound really good, I like the idea of having it savory as I don’t have a sweet tooth but yum none the less!! These look absolutely delicious! I will have to try them just without the red pepper flakes. Picky kids. Gotta do what the kids like! Have a great day! Literally first time seeing this recipe and I’m drooling! Can’t wait to try it! Tomorrow is my day off and I know what I will be making. This looks TOO good! yay! Send me a pic, what love to see! OMG delicious!! I will be trying this!! This is a recipe from my childhood – I’m pinning for later. Also – the pictures you take are stunning! This looks mouthwatering and absolutely perfect for autumn and festivities. It is also very festive on the table and a delight for the eyes! YUM!! These look so yummy! I’m definitely going to have to try this recipe out!! This dish is like thanksgiving left overs in an apple! What a sweet–err, savory– idea! The combination of the savoury and sweet sounds fantastic in this recipe! And I like that you could easily switch up the ingredients to suit your needs! I’ll be giving this one a try for sure! Thanks! Yes!All about customization and what YOU want! wow this receipt looks delicious! I have to try!!!! Thanks for the love! I would love to follow back – what is your IG name!? Well this recipe is totally amazing I have to try it! I can imagine this would a big hit with guests too. Pinning for future use. I never would have though in make a savory version of baked apples. I’ve only heard of it in the sweet, I will have to make this soon. It looks totally good! I wanna grab it right now! I’m sure that it’s delicious! I’ll make sure to make this fantastic recipe. These look delicious. And so simple to make. A perfect addition to a Christmas spread. Baked apples are my favorite! My mom would make them all of the time. The house would smell so good when she made them! I’ve never had apples like this before. Putting caramel or butterscotch in the center is what I would think of. I wouldn’t even think to put ham, turkey, or stuffing in an apple. The sweet and savory flavors sound like a nice blend. omg, butterscotch sounds like it would be delicious! these look so yummy! will have to try these ones! Savory baked apples look so delicious. It makes me really hungry. My kids love to eat apples and I am pretty sure that they will love this so much. I will definitely try to make this one. 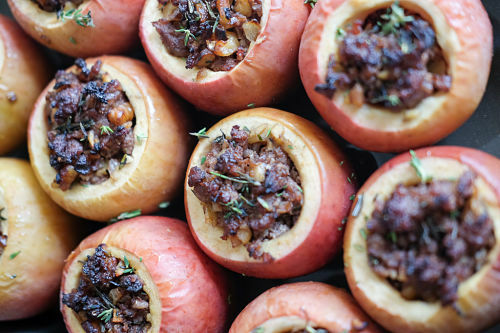 This is such a mouth-watering treat…savoury apples is something i have never tried but will do this weekend! That’s interesting for sure that they dress up. I’ve never been that into Thanksgiving. However experiencing the food … that is the best part. The food is ALWAYS the best part! I really love to eat apple and this savory baked apple looks tasty. Will try this recipe this weekend. These look delicious, I would love to try them. They are perfect for this time of year. YES! I love baked apples, they are the best. So delicious. Reminds me of home…my mom used to bake them all the time! 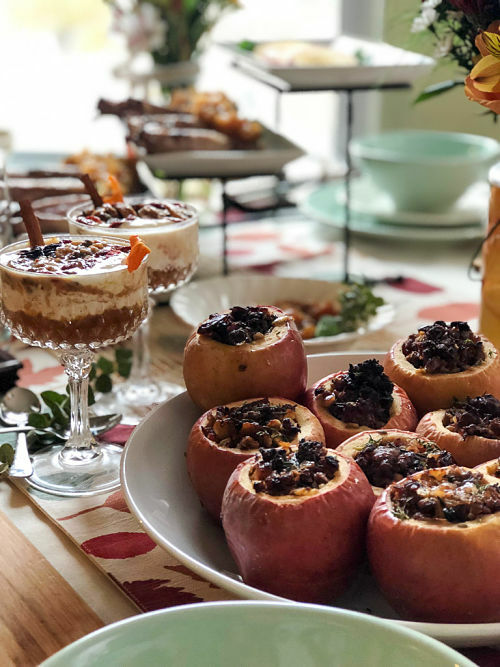 I am a huge fan of baked apples and your recipe looks absolutely amazing! I am definitely going to try to make them on Christmas. Oh, my mom used to make these when I was a kid (not as good looking as yours). I would love to make some for my family this season. Thank you for the recipe! I never would have thought of making this for lunch with my friends, but your recipe sounds easy to follow! Might give this a try! Super easy! You can also omit or add anything you like! I am lost for words to try to express how great these apples look. When I looked at the name of the recipe savory baked apples I never expected such a decadent, amazingly flavorful, and unique version. Thank you so much for sharing this exquisite recipe.